Marie M. Daly was born on April 16, 1921, in Queens, New York. Daly came from a family who believed strongly in the power of education. 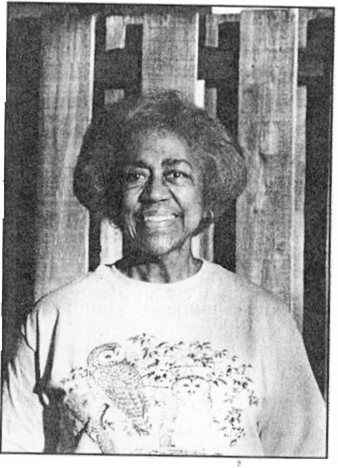 Daly graduated with honors in 1942 and, to get around the fact that she didn't have much money for graduate school, landed work as a lab assistant at her old college as well as a hard-earned fellowship. Daly got an graduate degree in chemistry from New York University. She finished her master's degree in just a year and then, in 1944, enrolled at Columbia University as a doctoral student. Aided by her own ambition and intelligence, Daly was further helped by timing. World War II was at its peak, and employers were looking for women to fill the jobs left by the scores of men who'd been sent overseas to fight. In addition, Columbia's chemistry program was being led by Dr. Mary L. Caldwell, a renowned scientist who helped blaze new trails for women in chemistry throughout her career. At Columbia, Daly took to the lab, studying how the body's chemicals help digest food. She finished her doctorate—unknowingly making history as the first female African American to receive a Ph.D. in chemistry in the United States—in 1947. Fascinated by the human body's complicated inner workings, Daly landed a grant in 1948 from the American Cancer Society. This was the start of a seven-year research program at the Rockefeller Institute of Medicine, where Daly examined how proteins are constructed in the body. Courage is like — it's a habitus, a habit, a virtue: you get it by courageous acts. It's like you learn to swim by swimming. You learn courage by couraging. Dr. Marie Maynard Daly Clark, died in New York City on October, 2003.